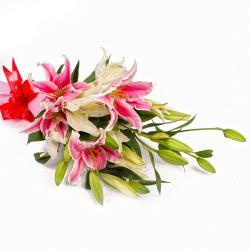 Product Consist : Twelve Stem of Lilies in Pink and White color with green fillers in cellophane Wrapping with Ribbon Bow on it. 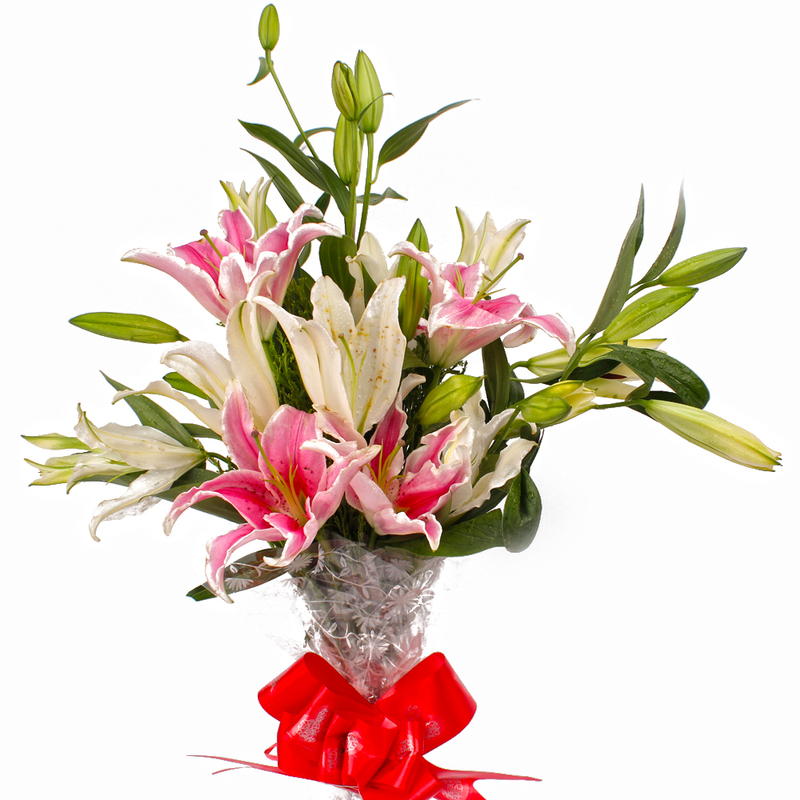 When it comes to pleasing near and dear ones on any special occasions, you should definitely try this amazing bunch of Lilies. 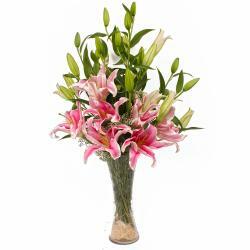 This bunch contains beautiful White Lilies and ravishing Pink Lilies which will definitely bowl over any recipient with aplomb. 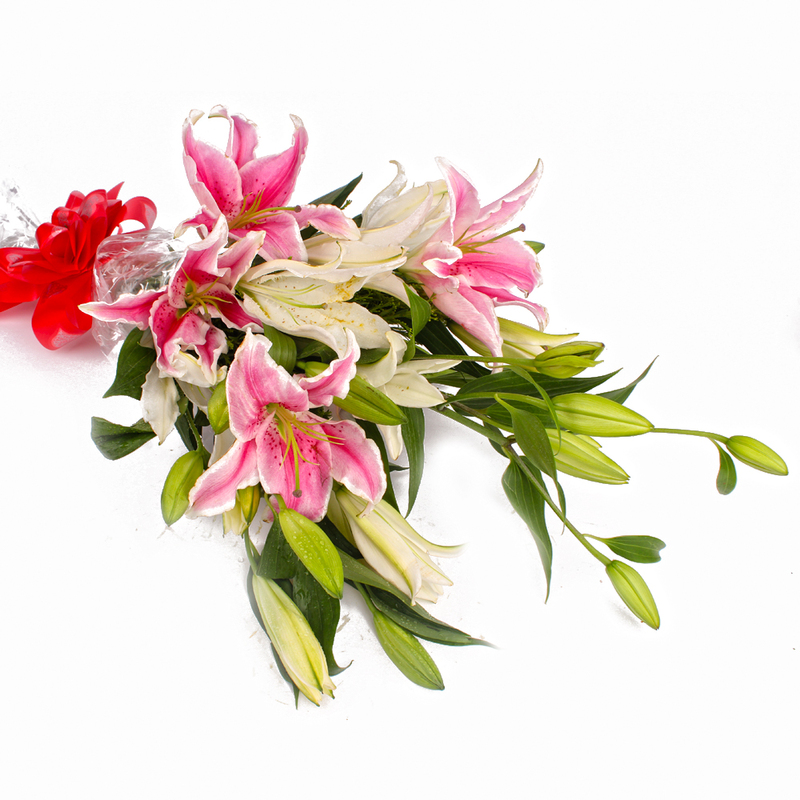 These Lilies have been neatly packed in cellophane for added effect and there is also a matching ribbon bow on top which lends an extra dimension to the look of the same. 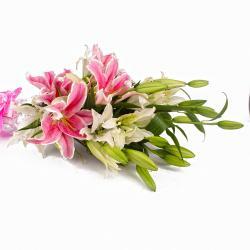 This is a must have for occasions like Birthday, Anniversary, Just Because, Navratri, Children Day, Valentine s Day and many more. 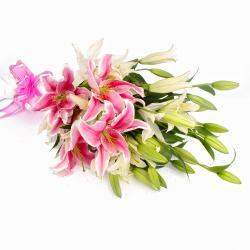 Product Contains : 12 Stem of Lilies in Pink and White color with green fillers in cellophane Wrapping with Ribbon Bow on it.